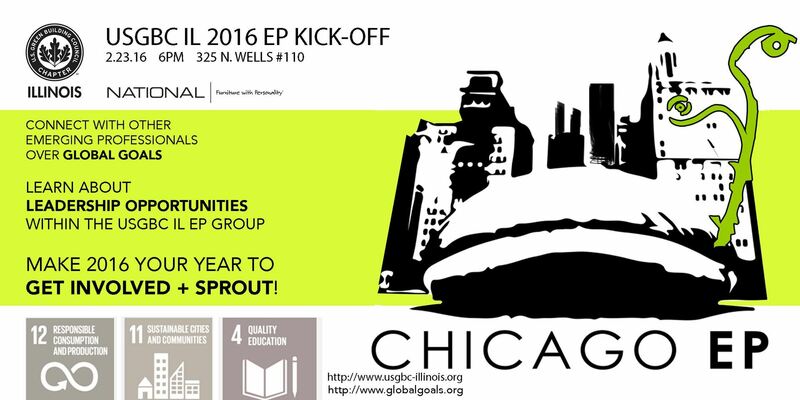 Join the USGBC-Illinois' Emerging Professional Group to kick-off the new year! Connect with other EPs over food and drinks and check out what the USGBC EPs are planning for 2016. Meet the USGBC EP Committee members and learn about leadership opportunities and ways to get involved with the EP Committee. We are excited to see what we can achieve together in 2016!